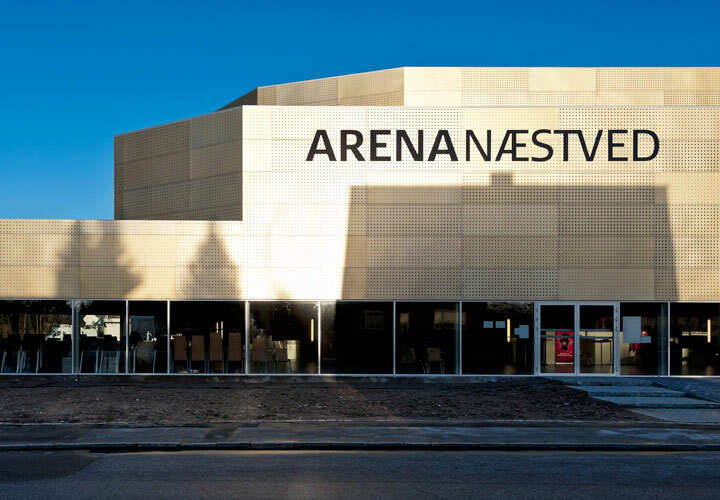 The new Næstved Arena hosts sports, music and cultural events and provides the city of Næstved with new possibilities for attracting large national and international events. 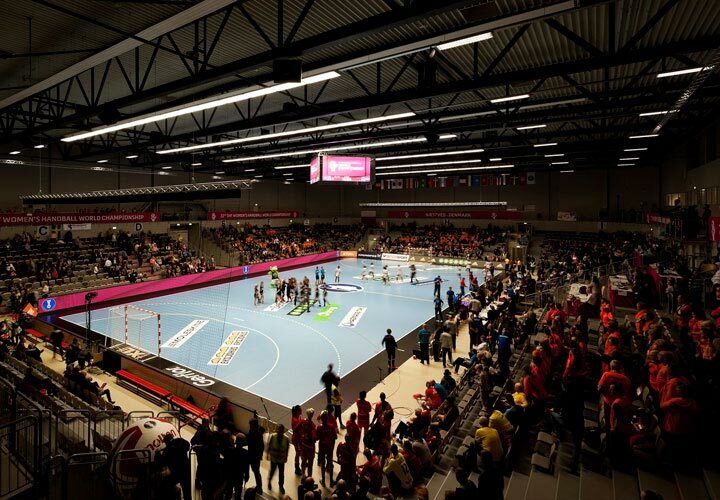 The venue has a capacity of 2.500-4.000 spectators, depending on the events. 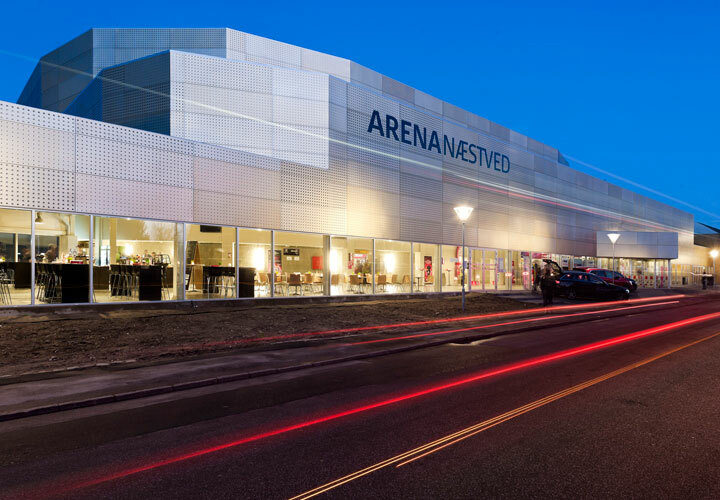 The arena will be built in a green pocket next to a residential area on one side and the existing Næstved Hall and Næstved Stadium on the other. 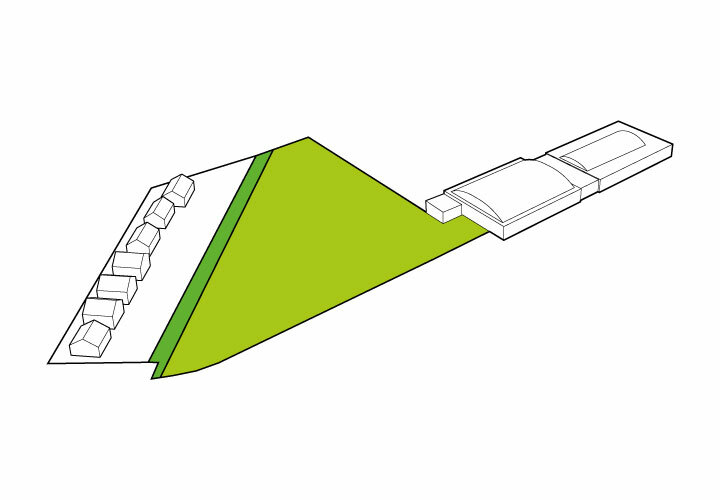 The compact building volume is place close to the existing in order to pull it away from the surrounding neighbours, thereby making room for an open green area that will be laid out as an urban park with an outdoor basketball court, playground and recreational areas. 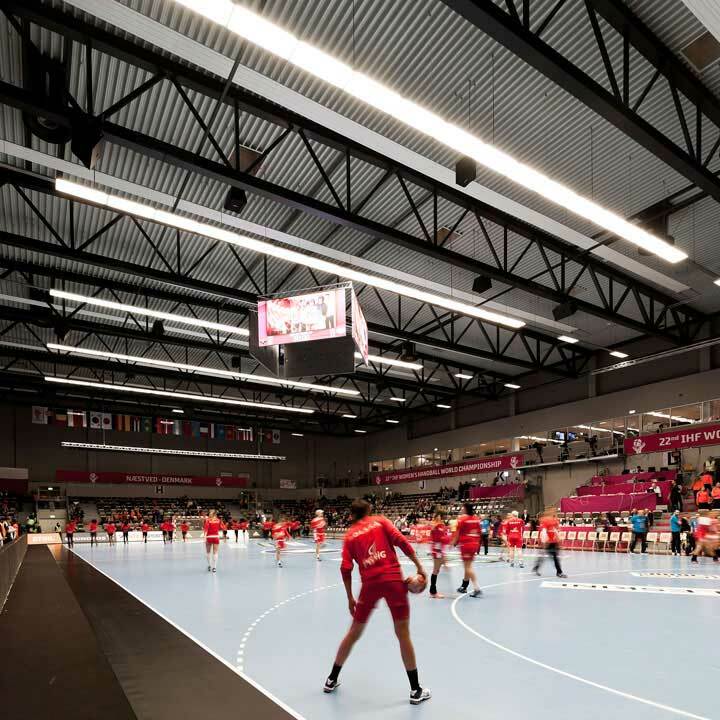 The arena’s compact and stringent volume is softened by facetted protrusions in varying heights, which are adjusted to the corresponding internal functions. 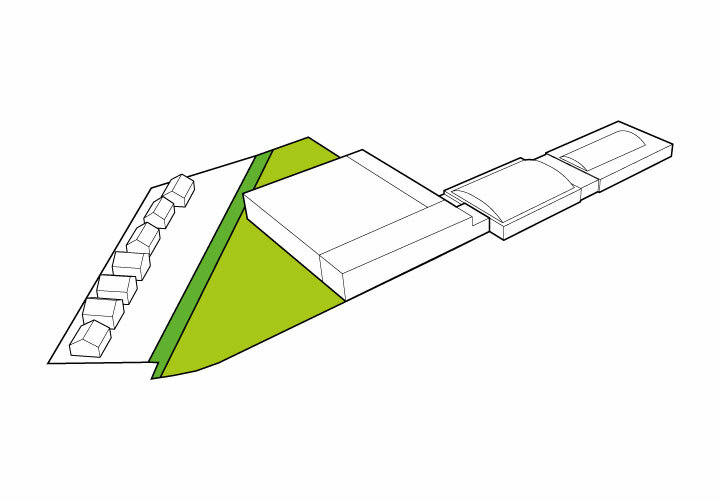 The horizontal orientation of the existing facilities is continued in the form of golden bands, which wrap around the corner between the arrival façade and the new park space. 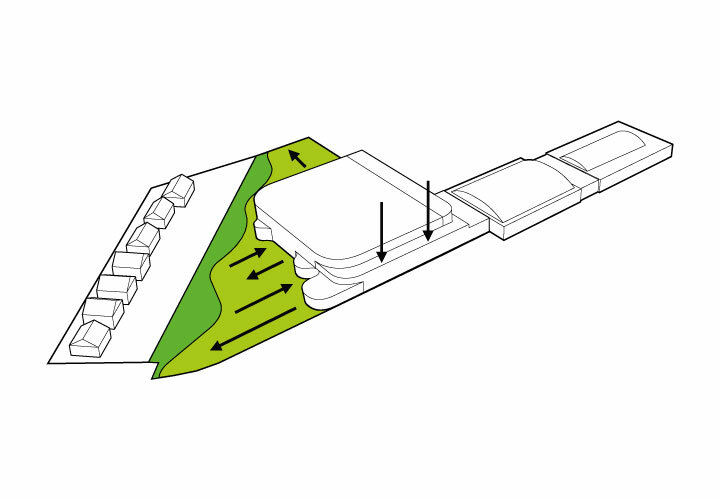 Thus, the arena’s quite massive scale is reduced and the building forms a gradual transition to the park. 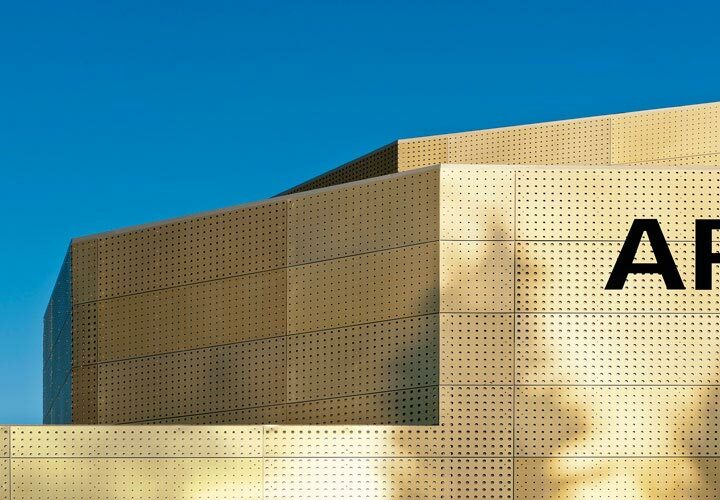 The arena’s architecture is both inviting and introvert: The square in front of the building and the adjacent park allow for spectators to meet and gather ahead of events. 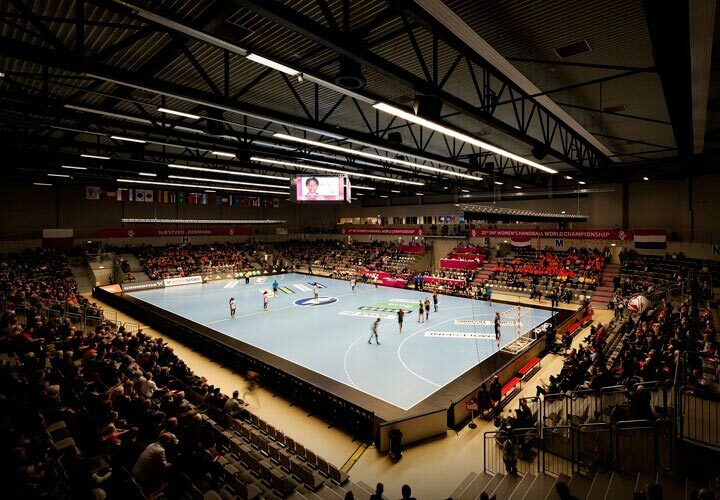 Once inside, the spectators arrive at the foyer level, from where they enter the central arena space. 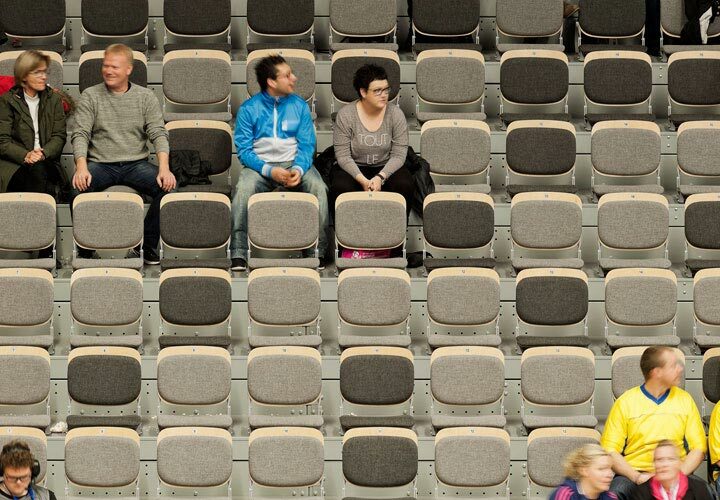 The arena’s bowl-like shape and the stands’ sloping planes bring the building’s scale into play – they create an atmosphere, where you feel small as an individual and large as a community at one and the same time.